When it comesto Stranger Things, we’re in a kind of cultural limbo. We’ve dissected all of season 1, right down to the opening titles and props.Now we’re stuck waitingfor an as-yet unannounced date in 2017, whenseason 2 will drop. In the meantime, here’s a neat toy to tide over any nostalgia cravings: Ramsophone, an online music-maker that lets you click and tap to create your own synthwave score. Designer and developer Robert Vinluan created it, and although he says that “resemblances to the Stranger Things theme may or may not be intentional,” we know what we hear. This is a DIY Stranger Things-stylesynthmachine, and it’s seriouslyfun. The Ramsophone sounds like the 1980s, but its looks are firmly rooted in the ’50s and ’60s, when Dieter Rams (after whom the Ramsophome is named) was designing for Braun. 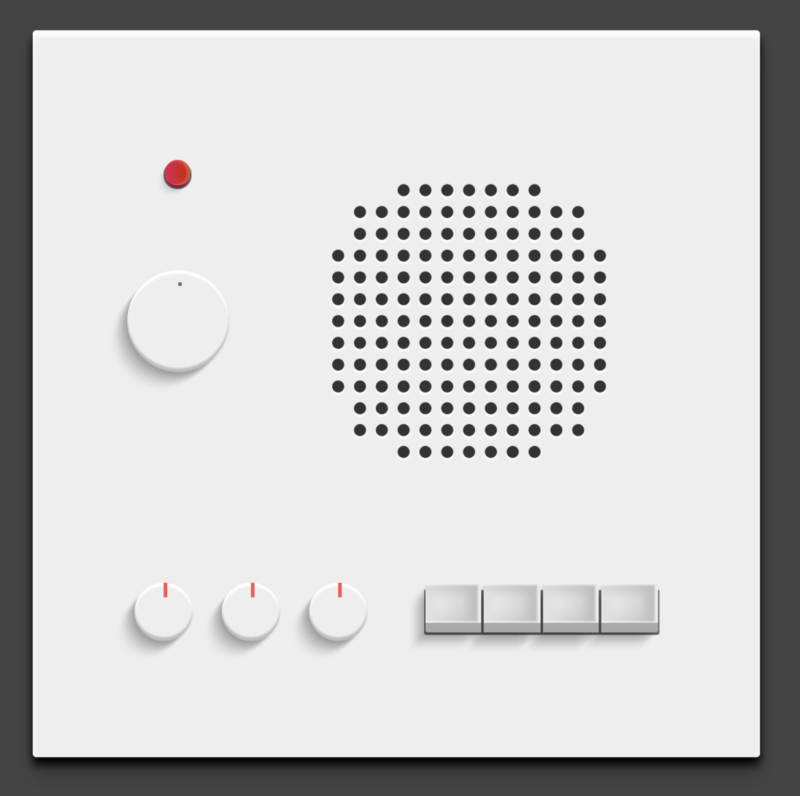 The interface features little more than a few white knobsand push buttons to compose yourbeats, and a tiny red button to turnthe music on and off. To mix up the music-maker’s form factor, just refresh the page. You can do this endlessly—Vinluan doesn’t know the exact number of available layouts, but says somewhere between 50,000,000 and 100,000,000 combinations sounds reasonable. His code is available on Github, if you want the nitty-gritty on how that works. Even with those millions of configurations, the Ramsophone, like a good Braun gadget, keeps it simple. You really can’t mess this up—your score will be perfectly eerie every time.